All-day comfort in perfect hunting concealment. From work to the woods, Carhartt® has you covered. 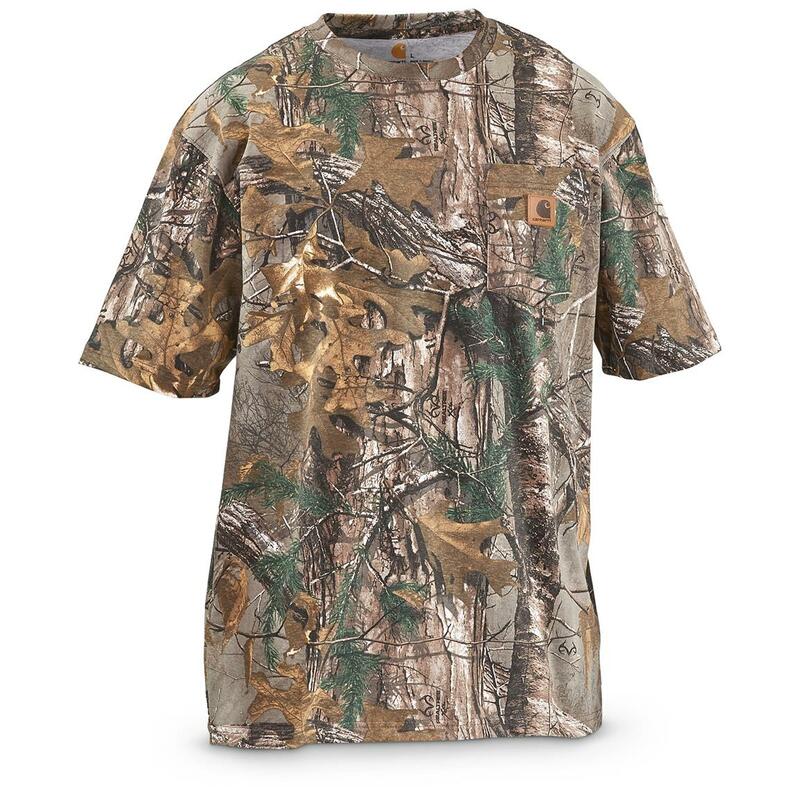 This soft cotton Camo T-shirt brings the outdoors to the jobsite, or jobsite toughness to the outdoors. Rather be hunting? Let everyone at work know it! Even if you can't be out in the woods Monday through Friday, you can still feel like an outdoorsman in Realtree Xtra® Camo. Make camo work for you. Order now!